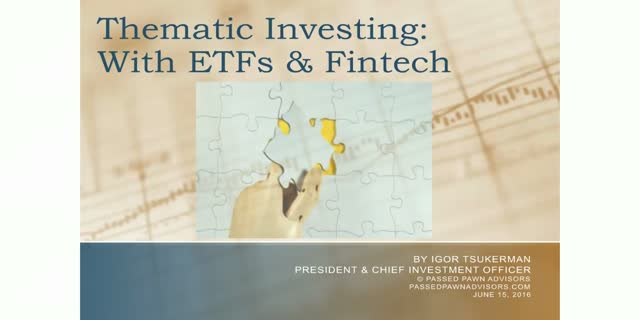 Thematic investing is a technique of recognizing a trend – due to economic, demographic, geopolitical, regulatory or technological factors – and identifying the investment opportunities that would benefit from that trend. It has long been a staple in institutional portfolios, but it traditionally required dedicated research teams and active management, making it prohibitively expensive to individual investors. Now, following the demands of the new generation of investors, a growing number of ETFs are offering thematic exposure. Even further, some new fintech solutions make thematic investing easy and affordable.